Sell your trade-in inventory fast. Based on the characteristics, we present similar item prices. We insure item pickup and have it graded by GIA (or IGI). Set your price and watch as hundreds of buyers bid. Confirm the sale and receive the payment immediately. Why Join the Worthy Jeweler Network? Most jewelers have a trade-in or buy-back program and the Worthy Jeweler Network is the best way to enhance them. With Worthy, Jewelers are able to conduct trade-in transactions without risking negative cash flow in the process. Improve your trade-in program with an easy way to quickly sell pre-owned inventory for true wholesale value. We offer an advance payment based on the grading within 3 days, and once you accept it, the payment is transferred. Browse and bid on a wide array of GIA graded pre-owned diamond jewelry on auction. All transactions and advance payments are guaranteed without the risk of compromising cash flow. "When purchasing new items I have the option to put them on memo or have at least a 30 or 60-day credit line to pay for them. When it comes to pre-owned, I need to pay my customers on the spot. Worthy helps me avoid the negative cash flow." Worthy is an online auction house where private individuals can sell their diamonds and luxury watches to professional, trustworthy buyers. Worthy’s full service solution, including insured shipping, complimentary GIA gradings and high-resolution 3D photographs, aims to help sellers reach the maximum value potential of their item. What is The Worthy Jeweler Network? The Worthy Jeweler Network is the place for jewelers to quickly sell their pre-owned inventory & buy authenticated diamond jewelry for wholesale value. How does selling on the platform work? 1. Briefly describe the item and Worthy’s pricing engine immediately provides an initial indication of the wholesale value. 2. We then pick up the item and deliver it fully insured to NY for grading by GIA (or IGI) and for photographing with state of the art 3D cameras. 3. We offer an Advance Payment that is based on the grading. Once you accept the advance offer, the payment is immediately transferred and is considered the reserve price. In the case you choose to set a higher reserve price, you will not be eligible for the advance payment offer. 4. After setting the reserve price for the item as well as the duration of the online auction (1-30 days), Hundreds of jewelers and traders are invited to bid. You can watch the live auction and invite additional buyers to bid. 5. When the auction ends and the highest bid is above the reserve price, we transfer the bid amount and any amount that is in excess of the Advance Payment (if accepted) to you. If the auction ends below the reserve price, you have the option to reject the deal and have the item returned to you. It is an amount offered to you prior to the auction, based on the grading results. If accepted, the amount is transferred to you immediately, and determines the reserve price of your auction. If the leading bid of the auction is higher than the reserve price, you receive the excess amount. Accepting the Advance Payment guarantees the sale of your item at that price. The reserve price is the lowest price that you are committed to accepting for your valuable. If the leading bid at the end of the auction meets or exceeds this price, the sale will be approved automatically. If the leading bid does not reach the reserve price and you did not select the advance payment option, you may reject the offer and have your valuable shipped back to you fully insured, free of charge. How do I send my valuables to you? Immediately following the initial market value calculation, you are provided with a fully insured, pre-paid shipping label addressed to our headquarters. You can either drop off the package at a FedEx location, or arrange for a free FedEx courier pickup. Can I view the live auction? Yes, you can view the live auction and invite your own buyers to participate in addition to the hundreds of buyers in our network. Can I reject the leading bid? If you did not accept the Advance Payment, and the leading bid does not reach the reserve price, you can reject the deal and request the return of your item fully insured and free of charge. If you accepted the Advance Payment, you are committed to the sale of the item and in any event, you will not receive less than the reserve price. Not only can you view the live auction, you can invite your own buyers to participate in addition to the hundreds of buyers in our network. Hundreds of professional diamond and watch buyers in the US and all over the world that have been thoroughly vetted and approved by Worthy. You as a member, can also participate as a buyer, enjoying access to a wide array of GIA/IGI authenticated pre-owned diamond jewelry. Do your buyers trust your descriptions? 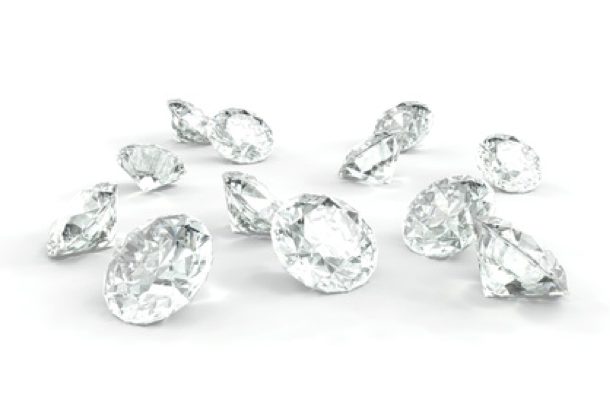 All diamond descriptions are based on GIA/IGI grading reports. Watches auctioned on Worthy are authenticated by CentralWatch, a trusted and reputable watch shop located in Grand Central Station. Can’t I get a better price if I sell items directly to my network of buyers? As you may know, finding the right buyer for a valuable item is not always easy. With Worthy, you can reach a multitude of buyers expressly interested in your clients’ items and even invite your own buyers to participate via your auction page. Do potential buyers physically view my item? While buyers are invited to view each item at our offices, most do not. The GIA or IGI grading is highly detailed and comes with 360 HD images, showing every facet. Is it necessary to remove the center stone from its setting? We highly recommend granting permission stone removal, as that is a requirement for GIA gradings, that buyers typically pay more for. If you do not wish to remove the stone, we will send the diamond to IGI for grading. What happens if an item gets lost or stolen? In the extremely unlikely event that this happens, all valuables are insured from the moment they are shipped to us. You will be compensated according to market value in accordance with New York State regulation. What types of items are auctioned on Worthy? You can sell and buy on the Jeweler Network, natural diamonds and diamond jewelry with a wholesale value of $750 or more. How do I buy pre-owned diamond jewelery on Worthy? Access the auction platform and browse through relevant items that are on auction. Bid online from anywhere at anytime on a wide array of authenticated jewelry and GIA graded diamonds for competitive prices. When you win an auction, the item is shipped to you immediately.